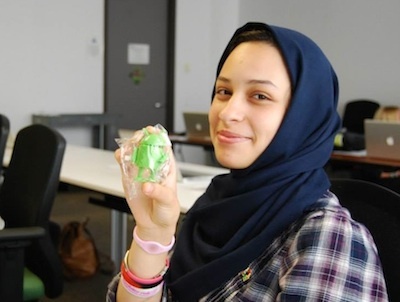 Using the leadership skills she gained through the TechGirls program Legacy International administered, Lina was able to take what she learned at Google and share it effectively. Both the participants and Lina report that the workshop was very well received and that they thoroughly enjoyed experimenting with the Scratch platform. Thank you to Google, MIT (for creating Scratch), Lina’s school for securing a space for her to teach, to Lina herself for doing such an excellent job teaching, and to the US Department of State for making the TechGirls program possible! Read more from other TechGirls at TechGirls Blog.